Pasta is a staple food of traditional Italian cuisine.Typically pasta is a noodles made with durum wheat flour mixed with water and formed in to different sheets or various size which is then cooked and form various dishes.Pastas may be available in two categories fresh and dried.Fresh pasta are traditionally produced by hands with a aid of simple machine where else dried pasta commercially produced by food extrusion process. Basic pasta dough is made with wheat flour or semolina with durum wheat used mainly in south Italy.Other grains like barley,buckwheat,rye,rice and even chestnut and chickpeas flour were regionally used. Pasta is mainly starch as it is made with flour and contain vitamin and minerals either directly from wheat or other artificial enrichment.The amount of protein in pasta depends on the flour used if it is made with durum wheat flour ,the pasta contain protein and gluten.Whole wheat pasta contains minerals like magnesium,calcium,zinc and manganese. Farfalle is one type of pasta which is commonly called as "bow-tie-pasta".The "e" at the end of the word is Italian feminine plural ending making the meaning of the word " butterflies". When i got a pack of the Del monte pasta i really want to try some things different from the regular pasta preparation..My dad bought us a bottle of red wine during his Europe pilgrimage visit and my long term wish was to use wine in cooking.I felt this the right time to try pasta with red wine sauce and gave a try for a Sunday lunch.My kids loved it to the core and we had a super lunch that day. oil- to shallow fry it. Clean the chicken well and cut in to small pieces.Add to it ginger garlic paste,turmeric powder,chilly powder,pepper powder,vinegar,salt and ix it well.Let it marinate for some time. Peel the skin of garlic and chop it finely. 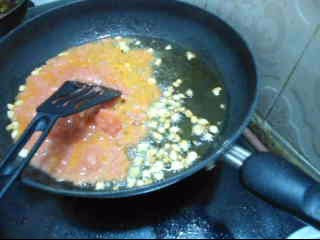 Add tomato in mixer and make a puree of it. 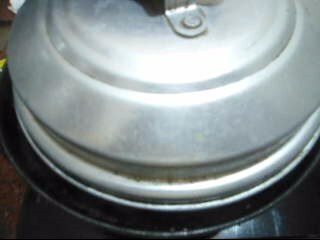 Cook pasta according to the instructions given in the packets.I boiled water ,added pasta along with salt and oil.In about 20 mins it was done.Drain the water and keep ready. Heat oil a flat pan and shallow fry the marinated chicken pieces and keep ready. .Heat olive oil in another big pan,add in chopped garlic and saute well. Then add in the prepared tomato puree to it. Add in all dry powders and the red wine.cover ,check for salt and spice and adjust if needed.cover and cook for 1-2 minutes. When the sauce is about become thick and the oil floats on top add in the cooked pasta,fried chicken pieces and toss it well so that it get mixed with the sauce. Top with with some grated cheese ,parsely and serve hot. 1.since we like our pasta to be spicy we added red chilly,you can avoid it. 2.On cooking the alcohol in wine get evaporated hence the dish is not alcoholic. 3.You can use any pasta variety. Check Del monte facebook page. This recipe goes to Del Monte's #ItalianEscapades campaign of Indiblogger.